Clipping USA is a leading source of low-cost Professional Image editing company located in Maryland, USA. It has a professional team who work for 24/7 very efficiently. The production schedule is divided into THREE SHIFTS purpose to match your... regional time & ensure the maximum quality issue. 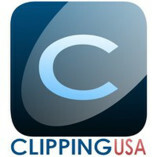 Clipping USA explores the work and access talent on a global extent. But keeps effort to know the client’s demand and gives importance to their expected requirements. Clipping USA is committed to giving you the very best of service with a focus on the uniqueness of trust, reliability, reasonable price and communication. Hope that you will have the benefit of our services as much as we love offering them to you.